I’m on vacation in sunny Hawaii, escaping the ridiculous cold on the mainland today. If there’s ever a good time to use miles it’s this week! With the airline tickets and hotels covered by points and excellent travel meals provided from Grand & Essex, I don’t miss the overcrowded Miami scene that we did last January at all. When I travel I mostly leave this site in my brother JJ’s capable hands, but yesterday I wrote about the last chance to apply for The Business Platinum® Card from American Express before the annual fee jumps by $145.That opportunity will end tonight at 9:59pm EST. For rates and fees of the AMEX Business Platinum Card, please visit here. A commenter on that post asked how the business card differs from the Consumer Platinum Card. The chart below summarizes all of the differences between the consumer and business versions of the Platinum card. It features the superior benefits in red font when there is a difference between the consumer and business card. Note that the lounge benefits for additional cardholders as described below is only for additional Platinum cardholders, not for free additional Gold or Green cardholders. However, additional Gold and Green cardholders do qualify for free Global Entry/PreCheck memberships! Welcome Bonus 60K points for spending $5,000 in 3 months. 50K points for spending $10,000 in 3 months. and another 25K points for spending another $10,000 in 3 months. 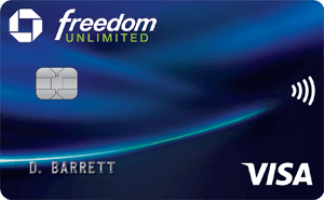 Additional Cardholder Fee -Up to 3 additional Platinum cardholders for a $175 fee ($58.33/card with 3 cards). -No fee for additional Gold cardholders -$300 for each additional Platinum cardholder. WeWork Benefits None 1 year of complimentary global access, a $2,700 value. Rebate on points redeemed for paid airfare None -35% rebate on a US airline of your choice in coach. -35% rebate on all airlines in business or first. -Maximum rebate of 500K points per calendar year. 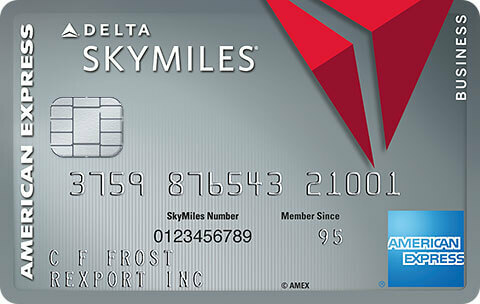 Delta SkyClub access Primary or secondary cardholders only. Must be flying Delta. Primary or secondary cardholders only. Must be flying Delta. Early check-in, room upgrade, daily breakfast, Wi-Fi, late checkout, and an additional special amenity. Early check-in, room upgrade, daily breakfast, Wi-Fi, late checkout, and an additional special amenity. Covers items up to $10,000 for losses within 90 days of purchase, up to $50,000/year. Covers items up to $10,000 for losses within 90 days of purchase, up to $50,000/year. Covers items up to $300 within 90 days of purchase if the store won't take a return or charges a restocking fee, up to $1,000/year. Covers items up to $300 within 90 days of purchase if the store won't take a return or charges a restocking fee, up to $1,000/year. Premium Roadside Assistance Free towing up to 10 miles, jump starts, flat tire changes, lockout service, and delivery of fuel, up to 4 times per year. Free towing up to 10 miles, jump starts, flat tire changes, lockout service, and delivery of fuel, up to 4 times per year. Extended Warranty Doubles the manufacturer's warranty up to 1 additional year. Covers up to $10,000/item and up to $50,000/year. Doubles the manufacturer's warranty up to 1 additional year. Covers up to $10,000/item and up to $50,000/year. Car Rental Perks -4 hour late return fee-free grace period at Hertz. -National Executive -4 hour late return fee-free grace period at Hertz. What is your favorite AMEX Platinum perk? 36 Comments On "AMEX Consumer Vs. Business Platinum Card Benefit Comparison Chart; Final Day To Lock In A Lower Annual Fee On The AMEX Business Platinum Card!" Do the aus have any benefits? Plat vs gold vs green besides lounge. Hey Dan thanks so much for responding, really appreciate it. Shoots!! My Annual Fee is probably posting on 2/1!! Any way to get around that or it’s gonna be $595?? Personal Gold cards reimburse the GE/Pre✔️? How about the Saks credit is that on both cards? Just double checking if I make someone an green AU will he get Marriott gold? Thanks Dan very helpful as always. Do the $300 authrized users on the the Biz card get access to all benefits. Specifically the we work benefit for the first year. WeWork details have not yet been published. Now that Citi Prestige offers 5x on airfare, and a less restrictive travel credit, I think I’m going to dump my Amex Consumer Plat. I’ll keep the Biz plat, as I do get some good usage out of it and want to maintain platinum benefits. I did not know this! Awesome. So I can get 1 business platinum card and add a bunch of green user cards and get free global entry for all? Am I understanding correctly? Do regular Gold and Green cards also reimburse the global entry fee, or only those that are au from platinum? Can anybody confirm if the consumer 5 points per dollar for travel works for 3rd party travel agencies? Based on what a rep told me it’s Amex travel or airline direct only, no 3rd party. Please advise ASAP. Online travel agencies typically don’t charge your card, they just pass it onto their airline. Therefore a Priceline ticket will earn 5x for example. 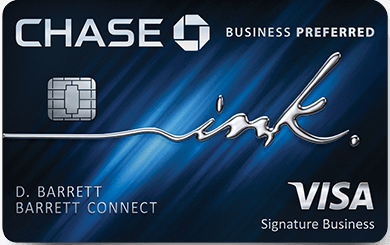 Chase Sapphire Reserve Card dose! Does it make sense/Is it better before applying to first check the link you posted in other posts, that sees what offers you are eligible for to see if you are targeted for more than the 50k or 60k points for same cards below? Thanks. PS Enjoy Hawaii! Thanks dan , we were targeted for the 100k signup for the non business platinum. Seems like we were lucky! Thanks Dan for summing it up so nicely, especially where you clarify the differences with au’s. All this while on vacay! So will I be eligible for the dell credit even if I pay the lower annual fee? Great push for credit card commission on misinformation. You’re better than that Dan. The deadline came from the agency we work with. I merely passed it on the information I was provided. Dan i called amex platinum, i am a biz platinum member, they told me there are foreign transaction fees?? Are membership rewards points useful for hotels in Israel ? There’s an error on the 5% that you earn on the consumer card, where you say it also includes flights purchased from an online travel agency. I went on the AMEX site, and on the benefits page here is what is says: “Air or hotel purchases made through a third-party payment account or on an online travel agency will not qualify for additional points”. That’s a big issue, for me at least. Have to buy from the airline or AMEXTravel. It’s impt. to know that! Not an error. Online travel agencies like Orbitz and Priceline don’t charge your card, the airline does, so you do earn 5x.